Written by Mark Wastall, PADI Regional Training Consultant. “The strength of the team is each individual member, the strength of each member is the team” – Coach Phil Jackson. It’s the time of year when PADI Membership renewal is on a lot of inactive dive professional’s minds. The PADI Regional Training Consultant team receive hundreds of questions regarding renewals from members across the Asia Pacific region. Let’s have a look at some of the common questions we get asked. A: No, we understand how hard the dive professional works to earn their status along with the time and dedication involved in becoming a respected PADI member. We also understand that sometimes life just happens, opportunities arise and diving can occasionally take a back seat. There is no reason you should be punished for that by having to start over again. Retraining varies depending on the circumstances and can be undertaken via several means. A: Yes, again we appreciate that job roles can change and maybe your chances of teaching are reduced. If you have been running a dive store for a few years for example, this would be reflected in the retraining required. A: As previously mentioned, we do all we can to avoid this from happening. You would have to be out of status and away from the industry for a considerable amount of time before that would happen. Even in the event that you are required to complete your OWSI/IDC and IE again, we may be able to help with some of the costs involved as a thank you for coming back to us. It’s never too late! So, if you want to take advantage of the many opportunities you have as a PADI professional once again, what are your retraining options if you have had a lapse in your membership? The first option is to view a free Online Member Forum or attend a Live Member Forum in your area. Either of these will take around an hour of your time and are simply an update on PADI news, products, courses and standards. The next level would be a Status Update with a PADI Course Director, auditing an OWSI/IDC or an Online Status Update. To find your nearest Course Director, use the new PADI Dive Shop Locator. The Online Status Update will also include a Digital Product Suite (5 top of the range digital eLearning products) along with a digital PADI Guide To Teaching and digital PADI Instructor Manual to bring you back up to speed. If you have been out of status for too long to qualify for any of these options then it’s time for IDC/IE. Once you have access to the PADI Pros’ Site, it’s a great idea to review the Training Bulletins that you will have missed since being away and to download the latest Instructor Manual to keep yourself familiar with the latest skills and standards. We have similar levels of retraining for PADI Divemaster, Assistant Instructor, EFR Instructor and PADI Freediver Instructor. It really is that easy to get back to what you love doing! Give your Regional Training Consultant a call and come back to the PADI family. 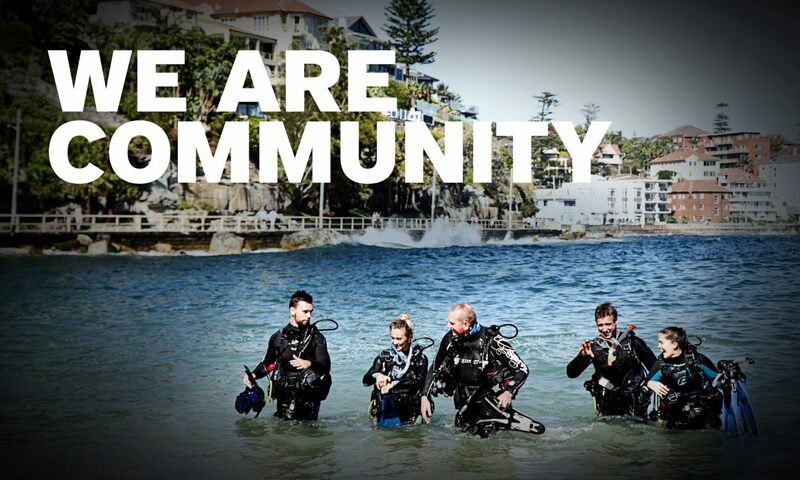 For more information on renewing as an inactive member call +61 2 9454 2888 or email a PADI Regional Training Consultant. When we sit and successfully pass our PADI Instructor Exam the first thing we usually do is celebrate! As we then progress through various certifications and reach specific milestones our celebrations tend to come and go without much fuss. At PADI we believe we should continue to celebrate and congratulate ourselves and each other as we progress through our careers in this amazing industry. When did you become a Course Director? March 2016 in Malaysia. Where do you currently work? Dive Zone Whitianga, New Zealand. What is your favorite part of teaching the PADI IDC? Love seeing the candidates progress through all aspects of the IDC especially the way their confidence in front of the class completing Academic presentations grows during this process. What words of advice would you give anyone thinking of applying to the PADI CDTC? Be prepared to give it 110% and be open to learn from all those around you, for me it was being open to the digital world, and what it has to offer as a new and ever changing training tool! Amazing experience! When did you become a Course Director? March 2015 in Malaysia. Where do you currently work? Dive Otago Ltd. Dunedin, New Zealand. What is your favorite part of teaching the PADI IDC? We have most of our IDC candidates right from learning to dive at Open Water level through to IDC within the year and I love seeing how far they come with their skills, confidence and abilities. What words of advice would you give anyone thinking of applying to the PADI CDTC? In regards to the application process think about this early. I left my decision to apply quite late in the scheme of things and it was a bit of a rush to make sure I had everything in line. Look ahead in your career and plan early so that you can have everything ready to roll when it comes time to apply. When did you become a Course Director? June 2015. Where do you currently work? Dive! Tutukaka, Northland, New Zealand. What is your favorite part of teaching the PADI IDC? I love teaching the whole IDC. It is the process of development that I enjoy the most. Seeing the transformation from Divemaster to confident new instructors. When did you become a Course Director? 1995. Where do you currently work? Wyndham Resort, Fiji. What is your favorite part of teaching the PADI IDC? The new things I learn every time. What words of advice would you give anyone thinking of applying to the PADI CDTC? Learn as much as you can from everybody and anybody. When did you become a PADI Course Director? 2013. Where do you currently work? Toi Ohomai Institute of Technology, Bay of Plenty, New Zealand. What is your favourite part of teaching the PADI IDC? Seeing the development of students over the course and by the time they finish seeing them not just getting the marks but actually teaching. What words of advice would you give anyone thinking of applying to the PADI CDTC? Give it your all, load your bags up with teaching aids and PADI materials and enjoy. When did you become a Course Director? 2005. Where do you currently work? Dive Wellington, New Zealand. What is your favorite part of teaching the PADI IDC? When candidates begin to believe in themselves and treat their IDC presentations as if they are teaching real courses. What words of advice would you give anyone thinking of applying to the PADI CDTC? The course itself is fun. If it is something you really want to do, then why not do it. When did you become a Course Director? March 2016. Where do you currently work? Auckland Scuba, New Zealand. What is your favorite part of teaching the PADI IDC? I enjoy seeing Instructor candidates develop their skills and abilities to a level that they can in turn pass it onto new divers. What words of advice would you give anyone thinking of applying to the PADI CDTC? Formulate a good business plan that you will be able to implement once you become a CD. When did you become a Course Director? 2010. Where do you currently work? With an amazing crew at Dive Zone Bay of Islands , in the Far North of New Zealand. What is your favorite part of teaching the PADI IDC? Seeing candidates “get the hang of it” and their obvious rise in confidence when things start to fall into place and get smoother and more natural. That’s when I can see the finished produce start to emerge – awesome! What words of advice would you give anyone thinking of applying to the PADI CDTC? Make sure you really love “teaching people how to teach” – it can be challenging and like any level of training you need empathy and passion. Have an open mind and be ready to learn some cool stuff! A big thanks to every one of our PADI members who continue to contribute to our industry with each with every person you train! With Asia Pacific certifications increasing year on year the need for more PADI Dive Instructors increases too – if you would like to be able to train the next generation of new PADI Open Water Scuba Instructors why not aim to apply for the PADI Course Director Training Course? For further information check out the CDTC area on the PADI Pro site or contact your PADI Regional Manager. PADI Asia Pacific is pleased to invite you to our Risk Management Symposium being held at the Pullman Cairns International Hotel in the Kuranda Ballroom on 7 September, 2015. Coffee and tea will commence from 8:30am and the Symposium will run from 9am to 5pm. The day’s events include presentations from our six guest speakers, and will conclude with a question and answer forum to allow you to address questions & concerns that you have in respect to safe diving practices. Recognising significant diving medical events, and problems and pitfalls of responding inappropriately. The new approaches in dealing with diabetes and diving. The challenges of dealing with the emerging Asian markets. How to deal with critical incidents, both on the day and the days after. Diving incidents and the resulting litigation. The importance of professional indemnity insurance with recent examples of diving incidents. The Symposium is free of charge; morning tea and a buffet lunch are provided. Attendees will include dive center owners and managers and PADI Course Directors. Attendance is limited to 100 places so please register your attendance as soon as possible. The first ever Training Bulletin LIVE event in PADI Asia Pacific was a great success and now it is time to register for the second edition of the popular webinar. You are invited to join us for a live, interactive presentation of the PADI Training Bulletin, Second Quarter 2013 Edition where PADI staff will present the latest standards changes plus you can test your knowledge with a series of fun and interactive poll questions. As spaces are limited please register early to guarantee your seat for this online spectacle by following the link at https://www1.gotomeeting.com/register/909508576. The event will take place on Tuesday, 14th May 2013, commencing 2 pm Sydney (Australia) time (UTC +10). Unfortunately, we were sure because we had sent him the email he was calling about. “But it’s not in the Crew-Pak! It’s not in the Crew-Pak…” His voice trailed off. He was inconsolable. It all started with a Course Evaluation Questionnaire (CEQ) from one of the distraught instructor’s newly certified PADI Divemasters. The CEQ answers indicated that the Divemaster did not own an eRDPML. When contacted, the Divemaster in question said he learned to use the eRDPML during Divemaster training, but borrowed it from the instructor. The eRDPML is required for the PADI Divemaster course. Candidates must have their own eRDPML to use during training and afterward. Instructors may not loan required materials to their student divers. Like the vast majority of PADI Instructors, the one on the phone took pride in his dedication to teaching and following PADI Standards in all courses. Even though the Quality Management message he received was a friendly reminder, rather than a formal inquiry requiring a response, he was upset to learn that he had violated PADI Standards. The instructor’s mistake? He assumed that all PADI Crew-Paks contain all of the required materials for a course. While this is true in many cases, it’s important to realize that it isn’t always the case. The eRDPML, for example, is not in the Divemaster Crew-Pak. The Rescue Diver Crew-Pak doesn’t contain a logbook. Many divers purchase their eRDPML during their PADI Open Water Diver course. Most rescue divers already have a logbook. So, while Crew-Paks are convenient and economical, students and candidates may need some additional items to meet PADI Standards. If they don’t already have those items, they must purchase them separately. To avoid finding yourself in the same position as the instructor on the phone, check the Course Standards in the PADI Instructor Manual for each course you teach. You’ll find a list of both required and recommended materials. This was the advice for the instructor on the phone and, while he may have had no idea before we contacted him, now he knows and it is unlikely he will need another reminder. Learn from one instructor’s experience and remember that just because something isn’t in the Crew-Pak doesn’t mean it isn’t required. And please don’t loan materials to student divers without consulting the PADI Instructor Manual. That should help you avoid from becoming the instructor on the phone.